Applies to: Azure SQL Database. Date created: January 31, 2019. Trying to scale down an Azure SQL Database going from Standard S0 to Basic, I received the following error message on Azure portal. 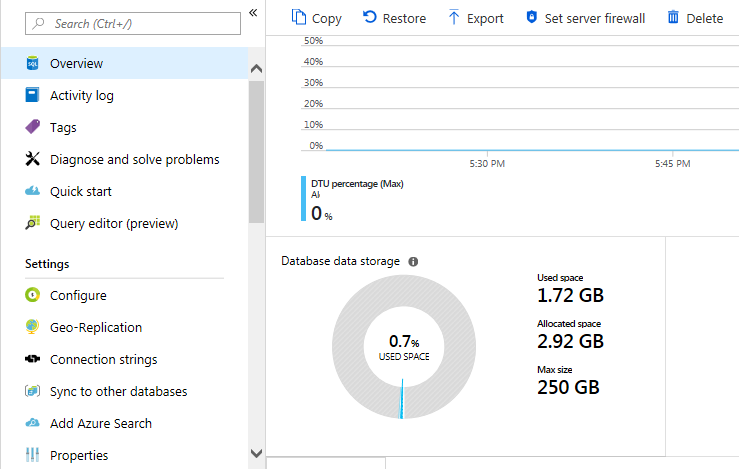 Failed to scale from Standard S0: 10 DTUs, 250 GB to Basic, 2 GB for database: MyDatabaseName. 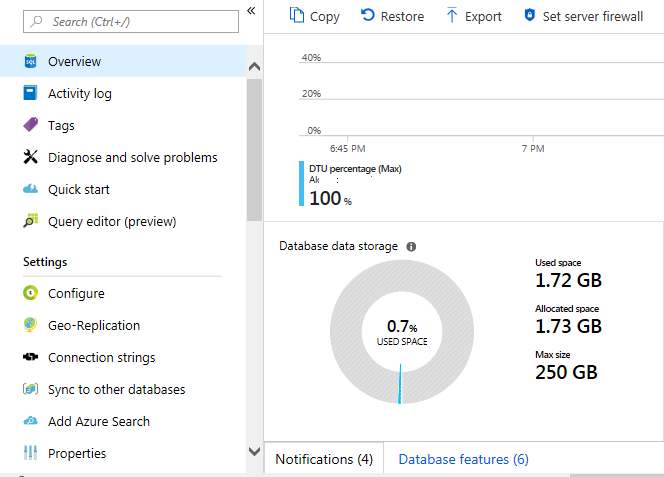 This error message can be encountered when you try to scale down a database but the current database size is above the size limit of the target service level. In this case the target service level/tier was Basic which has a 2 GB database size limit, but as you can see on the following image, the current database size was 2.92 GB. 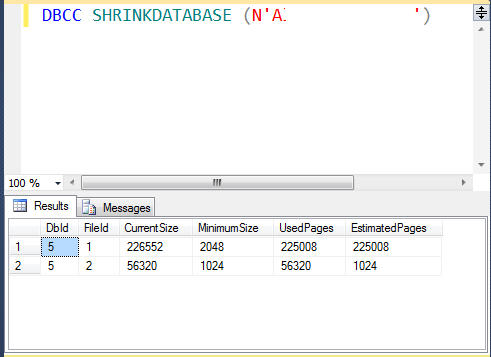 I proceeded as suggested on the error message and executed a DBCC SHRINKDATABASE command while connected to the database using SQL Server Management Studio. After running that command the database size was reduced below the 2 GB database size limit as shown on below image. After that I was able to scale down the service tier of the database to Basic.